Season Three of Joel B. New's "Something New" podcast concludes in concert form as part of New York Theatre Barn's New Works Series on July 20th, 2015. 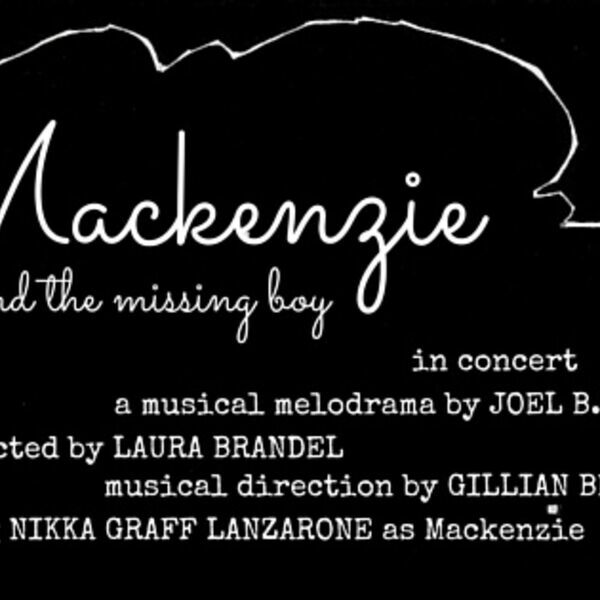 New's set list is highlights from MACKENZIE AND THE MISSING BOY, an original musical that has been developed on "Something New" throughout Season Three. The songs feature performances by artists who have previously appeared on the podcast, including Nikka Graff Lanzarone (Ep 208),Tiffan Borelli (Ep 215), Joshua Hinck (Ep 313), Caroline Selia (Ep 307), and Chris York (Ep 114), as well as Kendal Hartse (Cinderella), Gregory Haney (Bring It On), Will Mann (Memphis), James Burgin, and Ethan Riordan. Musical direction by Gillian Berkowitz. With Greg Germann on drums, Lloyd Kikoler on upright bass, and Berkowitz on piano. Directed by Laura Brandel. "Set in the post-Jazz Age of 1930's New York, MACKENZIE AND THE MISSING BOY is a noir musical melodrama about an impoverished flapper with a knack for spinning elaborate lies. Mackenzie wants nothing more than to reunite with her orphaned son, but in order for them to live happily ever after, she has one more tall tale to tell." For more info, visit www.joelbnew.com.